For fantasy football geeks that are tired of meeting up at someone’s house to pick their teams, the Chicago Bears are offering a unique and awesome alternative this season. 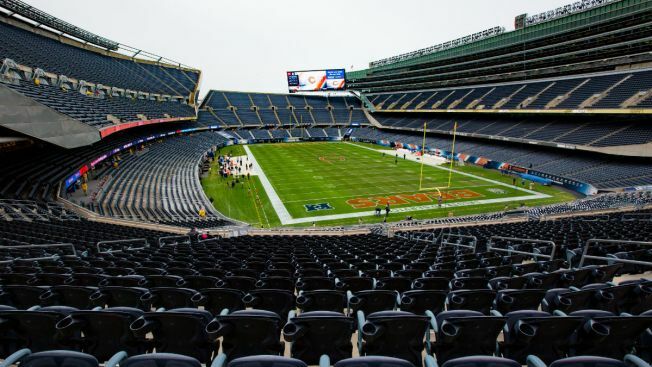 On Aug. 24, the Bears and the Chicago Tribune will team up to host a Fantasy Football Draft Party at Soldier Field. Fantasy players will have the opportunity to draft their leagues at the iconic stadium, and they’ll even get photos on the field after the drafts are completed. Bears radio voice Jeff Joniak will host a panel of experts, who will discuss all things fantasy football and offer their predictions on the coming season. Early bird pricing is available on a standard package and on a VIP package, according to a press release. For $60 per person, leagues can get a private suite at the stadium to conduct their draft, which comes with bottomless popcorn, two large pizzas, and two beers per person. For a spot in the press box, tickets are $35 per person, and come with wireless internet, some food, and two free beers. Participants will also get their photo taken on Soldier Field.